Verification and some excerpts on “the aristocracy” below. P.S. Thanks to some hardworking netizens for help with research and fact-checking. Above image of LKY from Facebook. NOTE: Teo Chee Hean’s father and grandfather; Tony Tan; Tan Chin Tuan (Tony Tan’s uncle); and Mrs. LKY’s father (Kwa Siew Tee) held senior positions in OCBC. 5. The networks of hundreds of GLCs that are popularly referred to as Singapore Inc are not just vehicles for the conduct of business. Collectively they provide an extensive and almost inescapable vehicle of elite patronage and power. 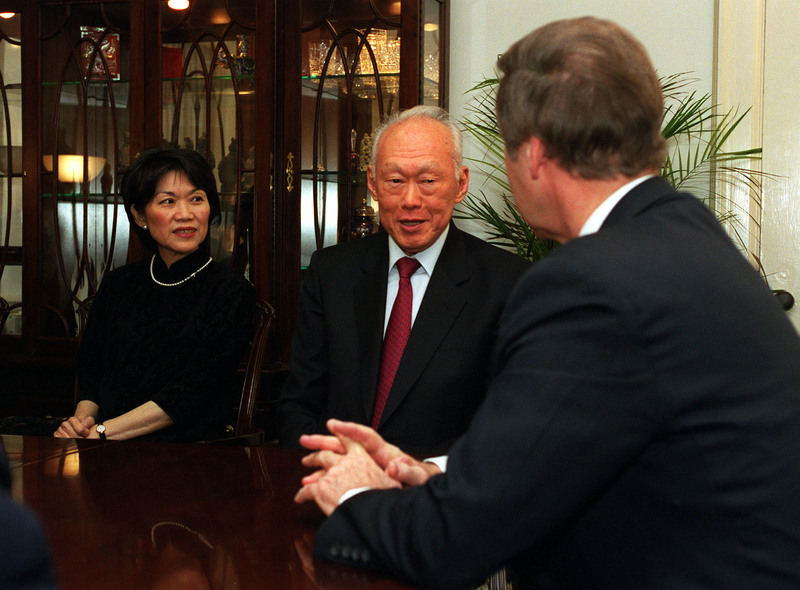 Chan Heng Chee (left), former political critic, and Lee Kuan Yew during LKY’s visit to the U.S. in 2000. There have been scholars who have been critical of the government in their youth, but by the time they have arrived in government, they have always transformed themselves into models of elite solidarity. 6. It makes it a lot easier to understand Singapore if you [begin] from the premise that it is a Chinese family business, complete with a patriarch, an eldest son, guanxi networks and questions of cross-generational continuity. 7. Guanxi refers to the benefits gained from social connections and usually extends from extended family, school friends, workmates and members of common clubs or organizations. It is customary for Chinese people to cultivate an intricate web of guanxi relationships, which may expand in a huge number of directions, and includes lifelong relationships. The more you ask of someone the more you owe them. Guanxi can perpetuate a never-ending cycle of favors. 1. Verification for the right side of the image can be found on this post, re: how Tony Tan is related to PM Lee Hsien Loong. 2. Wee Kim Wee’s mother was Chua Hay Luan. Chua Hay Luan is the sister of Chua Kim Teng (father of Chua Jim Neo, LKY’s mother). Mr. Wee addressed Chua Jim Neo as “cousin” in the preface of a book published in the mid-70s. The preface was mysteriously removed from later publications. 3. This post has some text and links on how Teo Chee Hean is related to PM LHL. 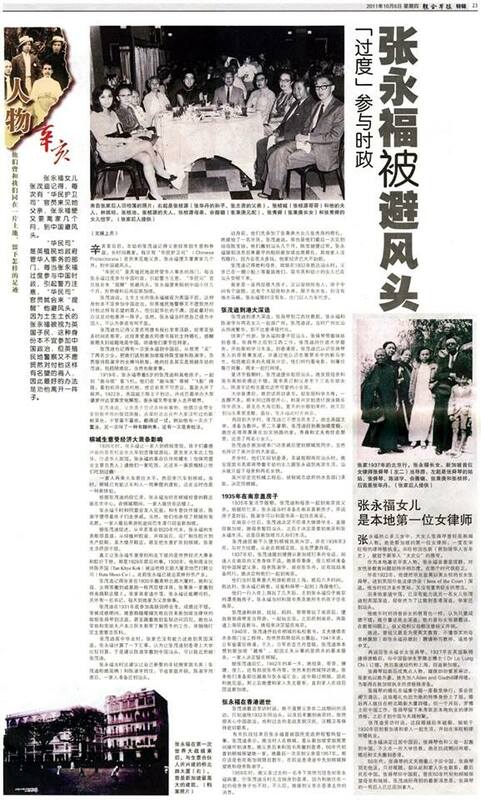 Newspaper article about Teo Chee Hean’s great-granduncle. READER TIP: Newspaper article about Teo Chee Hean’s family (mostly about Teo Eng Hock, Teo Chee Hean’s great-granduncle). The man on the right is Teo Chee Hean’s father. The woman in the centre with black cheongsam is Teo Chee Hean’s mother (Mrs. Teo Cheng Guan, or Madam TAN Suang). 张志贤 is Teo Chee Hean’s Chinese name. 4. 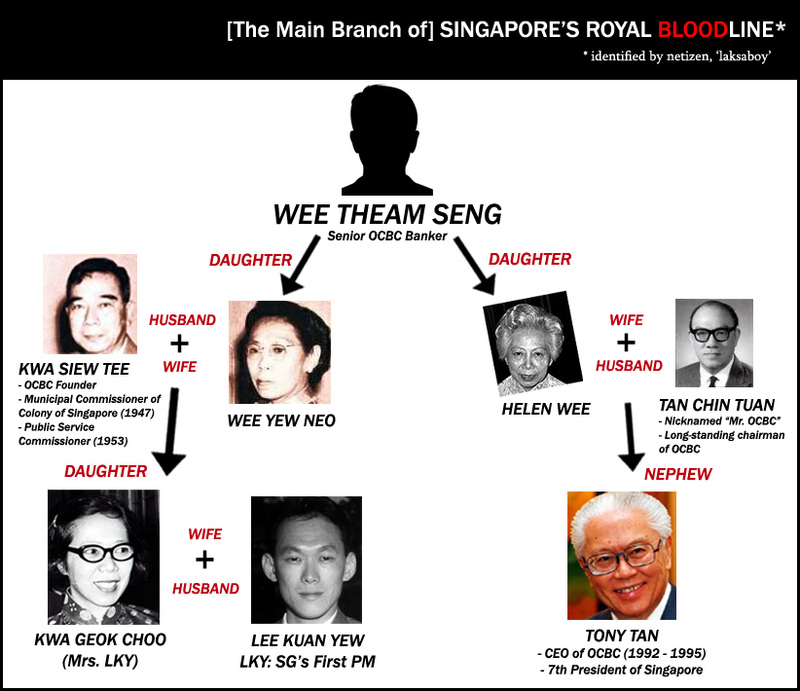 On Teo Chee Hean’s link to Ivy Lim (sister-in-law of Kwa Geok Choo / Mrs. LKY): Teo Chee Hean’s father and Lim Chong Pang are the same generation. Teo Chee Hean and Ivy Lim Seok Cheng (Lim Chong Pang’s daughter) are the same generation. So they would address each other as 表姐, 表弟. In English, “cousin.” The link is through Teo Chee Hean’s great grand aunt (Teo Choon Lian) and Ivy Lim’s great grandfather (Lim Peng Nguan; spouse of Teo Choon Lian). 5. On Lim Kim San: Lim Chong Pang’s father was Lim Nee Soon. Lim Nee Soon’s daughter, Lim Mui Gek, married Tan Huck Khong. Tan Huck Khong’s uncle is Tan Chong Teck. Tan Chong Teck’s grandson is Pang Kim Hin — Tan Chong Teck’s eldest daughter, Tan Poey Quee, married Pang Leong Chwee and is the mother of Pang Kim Hin (married to Chew Kheng Imm). Pang Leong Chwee’s sister, Pang Gek Kim, is the wife of Lim Kim San. Thus Lim Kim San is the uncle of Pang Kim Hin. 6. On Goh Keng Swee: Lim Chong Pang’s father-in-law was Lee Choon Guan. Lee Choon Guan’s father-in-law was Tan Keong Saik. 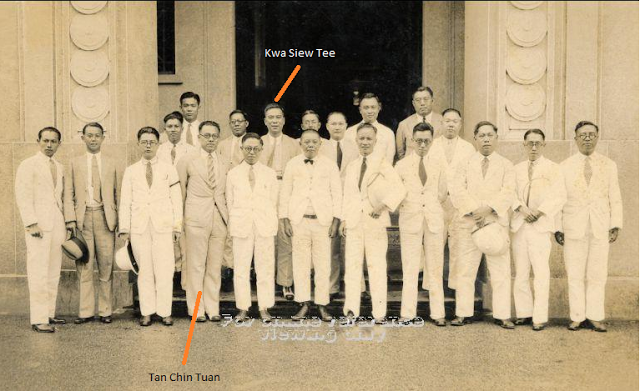 Tan Keong Siak’s father’s brother had a son named Tan Kiong / Keong Keng, who had a daughter called Tan Siok Kim. Tan Siok Kim was married to Chew Cheng Yong. Chew Cheng Yong’s brother-in-law was Goh Leng Inn, father of Goh Keng Swee. * Tip: Many of the names mentioned above were the leading pioneers in banking and trading sectors during The Straits Settlements. They also held many leading positions in the municipal commission where they worked closely with the British colonial government in the running of domestics affairs of Singapore. Hence, they all played influential roles in the politics and economy during that time. As such, readers are encouraged to do their own reading on these pioneers. 1. 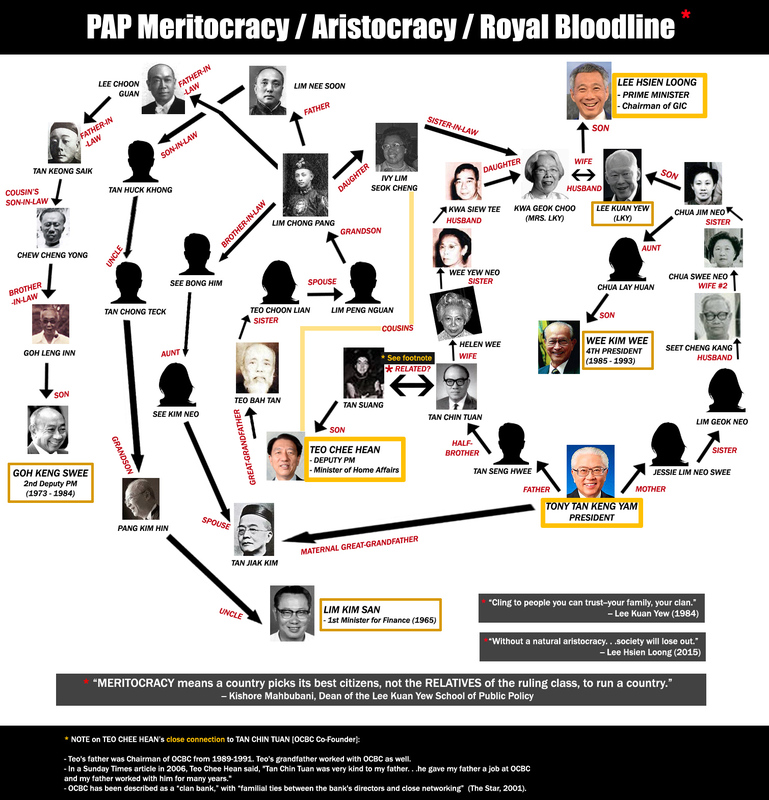 According to several netizens, this is the “main branch” of Singapore’s Royal Bloodline. 3. 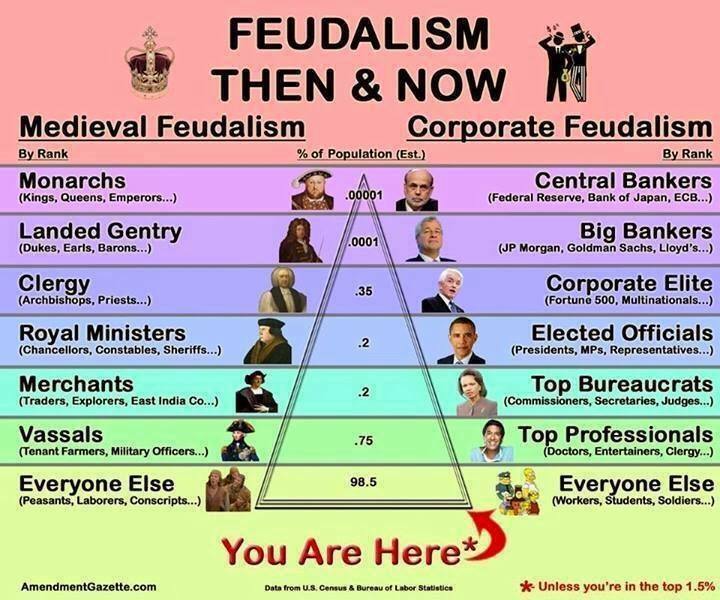 A Feudalism chart showing the 99%’s place in society (image by Amendment Gazette). 4. Collection of “elitism” quotes by PAP Ministers. Great Info You Dug Up Jess! 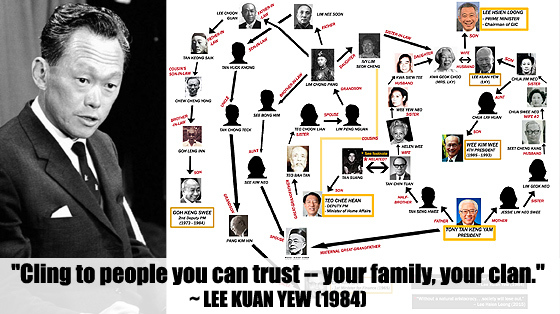 Is Chan Heng Chee related to the Lees by marriage of her kin, or just political advisor to LKY back then? It’s the Illuminati structure! Singapore is masonic paradise! I enjoy reading The Vigilant Citizen and listening to a couple of historical recordings on YouTube. Fascinating stuff. The music industry always seemed a little ‘off’ to me, particularly in the last decade or so. Too much Luciferian symbolism all over the place. Welcome, thanks for you and your dad’s appreciation! In this part of the world, everybody is related to everybody especially when you are peranakan. 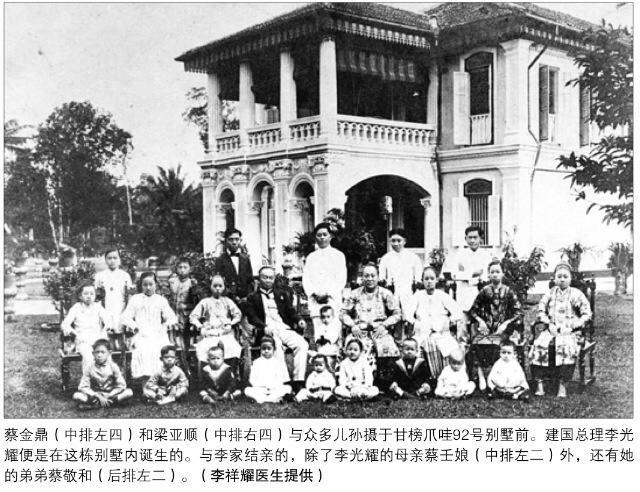 I am Peranakan too and have thousands upon thousands of relatives in Singapore and Malacca. But that doesn’t mean I know them or their families, We are complete strangers. You are talking about things you don’t understand, but are quick to jump to conclusions. Many of the people you mentioned started off as “nobody”. But made their way up by studying hard or doing well in business. Thanks for your comments on the cultural aspects. Lee Kuan Yew was a Queen Scholar who graduated from Cambridge. Goh Keng Swee was on a British Civil Service scholarship before he received a PhD in economics from London School of Economics. Teo Chee Hean was on a govt Scholarship before he he received his MSc. in computer science from UK. Tony Tan has a PhD in applied mathematics from the University of Adelaide. And that is not meritocracy?? ?